Research or Wallowing in Nostalgia? 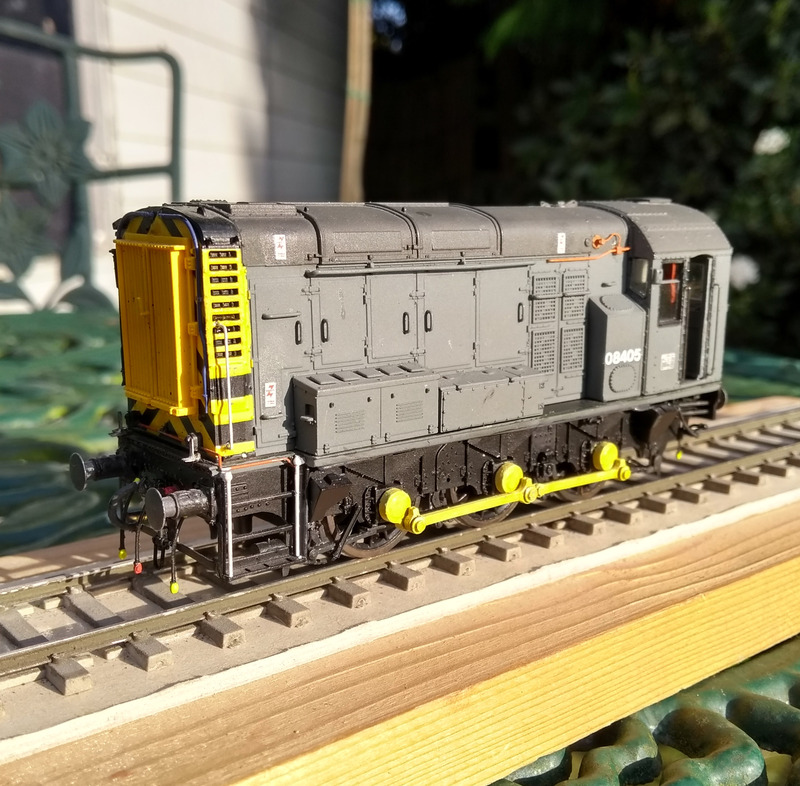 The long term workbench resident has been joined by another class 08. This one is a Hornby version of the class – the wheels have been seen before not the model itself. I bought this from a stall at the Flea Market in Pickering for a ridiculously cheap price, just £38 and it was already chipped! ‘Sold as Seen’ as it didn’t run well apparently – for £38 it seemed worth a punt. Turned out it didn’t run well, however I felt that could be sorted. The reason why it didn’t run well became clear once home. The first thing I did with it was try it on 12v DC on a yard of track. Lumpy. Jerky. Hesitant. It ran like a hung over student making his way home early one morning in freshers’ week. I started thinking what best to do – probably strip and full check everything. For another day I thought – I was just about to pack it back in its box when I noticed also in the box was an 8 pin blanking plug… I whipped the body off and sure enough, the model was already fitted with a decoder! 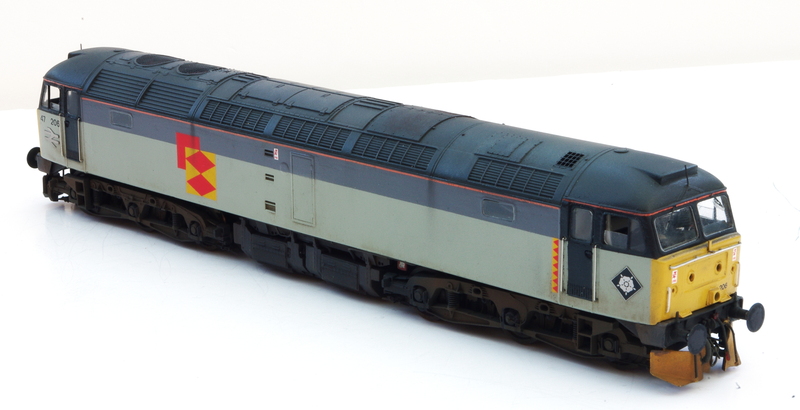 Once tested on DCC it showed to be a lovely, smooth performer. Not sure what the origin of the decoder is, but I’m not sure I’m overly concerned about finding out as it all works as it should! The next class 08 shown with the etch from Brassmasters for its new coupling rods. In contrast with its Bachmann counterpart, this is quite a straightforward little project. The Hornby model came a number of years after the Bachmann model and is much more detailed – it’s better overall, certainly the detailing as it comes is in another league compared with the Bachmann model – this is not to say the Bachmann model isn’t good, it’s a dimensionally accurate and looks how it should, but Hornby just went a bit further. As such it is a little more delicate – it also saves time. The only thing which lets it down is the slightly coarse mesh on the air intakes just in front of the cab – but otherwise, very little to complain about. The biggest task is re-wheeling from my point of view. I’m also replacing the rods – Hornby’s coupling rods are actually very nice die-cast parts but Brassmasters’ rods are just that bit finer. Gilding the lily I suppose. 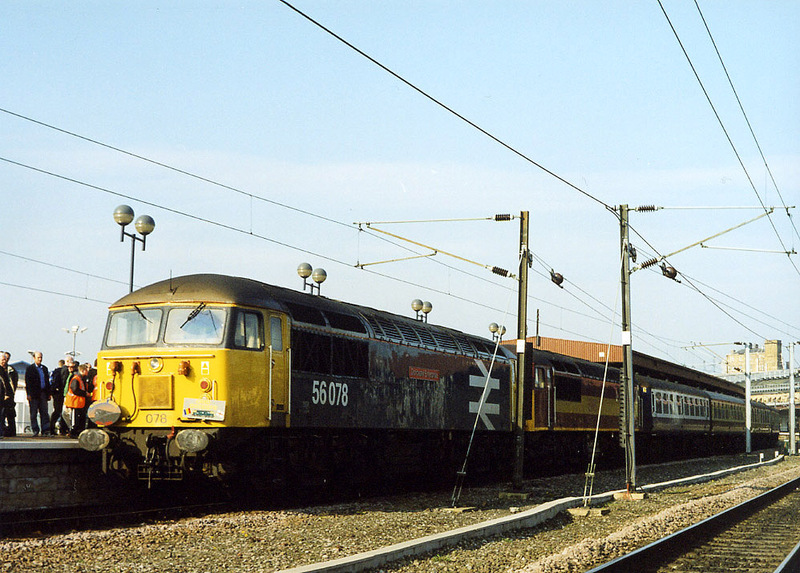 It’ll become 08405, an Immingham machine – perfect for a shunter to be in and around Scunthorpe on pilot duties. Most of the parts for 08632 – looks about complete but there seems to be a never ending list of things to do! This particular model was the first thing to be started for West Halton – some considerable time ago too. Various things have got in the way, health, work, etc., but it’s finally getting there. Now with the replacement cranks from Alan Gibson there is a renewed enthusiasm. Well, it has been progressing slowly, a little bit of work here and there as I posted the other day but things are picking up now! The only thing with this one seems to be is that the further I get, the more there seems to be left to do! This is far from a straight re-wheeling of the Bachmann model – lots of little parts have been replaced and I’ve probably made life hard for myself to be honest. It’s all sorts of little details which are required it seems. And I’ve probably missed a couple of things too, and I’ve not even touched upon the rest of the painting and weathering! The glazing has been one job which was holding things up – the cab on this model is such a tight fit that I only want to be fitting it once, not on and off at various points to avoid damaging it. Yet at the same time glazing can be vulnerable – once done the cab can be put to one side and left until it’s required for final fitting. The glazing process, part way through. Shawplan’s Laserglaze has been a bit of a godsend really. I always liked the appearance of individually fitted window panes cut from clear sheet – a job which would have taken a full evening now takes just a few minutes with laser cut glazing. 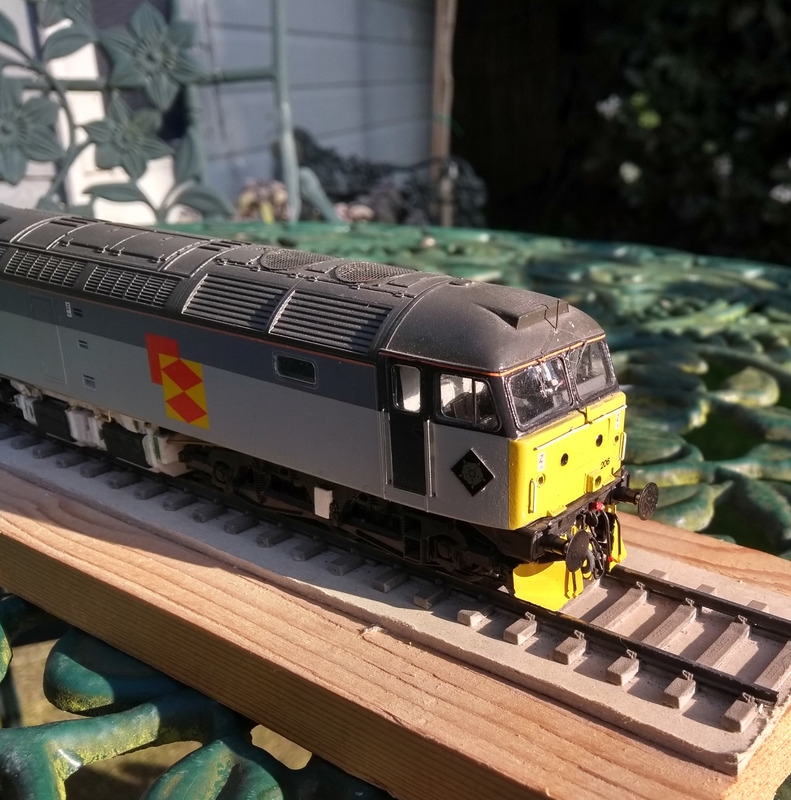 A beautiful touch is the provision of different pieces to enable the cab windows be modelled open – this is a lovely way to add life to a model, especially if, like ours, a layout is set in the summer months. So that’s one thing off the list, now just to address the rest! Replacement outside cranks from Alan Gibson for Class 08s. Our hobby is what it is because of the cottage industry which has supported it for over a hundred years. Forget for now the big ready to run manufacturers… Well, for me anyway, it’s the little, specialist manufacturers who allow me to enjoy the hobby in the way that I do. One of the key manufacturers for many of us working in 4mm scale, especially so for EM gauge and P4 is Alan Gibson. Without their range of wheels many of us would find working to these standards much harder – even in 00 where Romford driving wheels have dominated for years, Markits’ prices are now much higher than Gibson’s and I really do think that Gibson wheels are something of a bargain and are excellent value for money – I’m just using a set of their wheels for my latest class 08. I also have a much longer term class 08 on the go. However, I managed to break a couple of the outside cranks. Not sure how, maybe the crank pin screws were tightened a little too much and eventually this caused the cranks to crack? Maybe I’m just clumsy? Having now a shortage of cranks, we contacted Alan Gibson about seeing if we could get a spare set so all the cranks could be replaced. What came next was a lovely surprise and gesture – the spare set was sent free of charge! When any company is willing to give customers this sort of service, they deserve us to support them. And in our hobby, supporting those who make our hobby what it is. Most of the bits for re-wheeling the next Class 08. I suspect most in the hobby, and some beyond it, know about the big York exhibition which has been held at Easter every year since, seemingly, 1897. However this isn’t the only model railway exhibition held in the City of York. This year Ebor Group of Railway Modellers celebrates its fiftieth anniversary and for the last seven years has held a small exhibition early in the year. It’s a lovely little show – most layouts come from within the group and it has a lovely, friendly atmosphere – something which provides a significant contrast with a show like the large BRM Doncaster exhibition, for example. And there was some cracking modelling on display too! Having both children with us meant only a couple of phone ‘snaps’ but these two in particular caught my eye (that’s not to say the others weren’t worth seeing, they were but I simply didn’t get much chance for pictures!). Westerham by Andrew Jones is a rather nice Southern terminus, representing the end of what was a very busy branch in its day – twenty two trains each way a day is far from the typical sleepy branch line terminus! I also rather liked Rochdale Victoria, a compact urban terminus station in EM gauge. A typical north-west sort of station along with EMUs, which felt like it had the lines around Bury as an inspiration – the EMUs would certainly suggest this! These small shows are the real grass roots of our hobby and often have exhibits which you normally see on the exhibition circuit and they are well worth making the effort for – the two layouts highlighted here aren’t the same era or region as West Halton but good modelling can inspire and interest regardless I think. Appleby-Frodingham Steel Company number 1 (YEC Works No. 2877) at Scunthorpe Steelworks in the care of the Appleby Frodingham Railway Preservation Society. Today I was very fortunate to be able to measure, photograph and crawl all over Scunthorpe No. 1 at Scunthorpe Steelworks thanks to the Appleby Frodingham Railway Preservation Society. The society was very accommodating and very helpful in allowing me access to the locomotive. The front, the massive buffer beams really add to the character of these engines. For both the Golden Valley and Judith Edge models I currently have on the go this visit was incredibly useful – close up photos of the type are few and far between so the chance to spend a couple of hours taking photographs, measuring all sorts of things and checking all sorts of things. A deliberately overexposed photo to pick out details of the break gear. Many of the chassis details can easily be lost in the shadows in photographs so to be able to spend the time studying these details will, I hope, prove very useful to help capture the look of the prototype. Details of the area under the cab. I’ll be updating the Janus projects soon, but in the meantime here is a small selection of the hundred and thirty photos I took! A close up of the heat shield. These, I’m told, are to keep heat from hot loads away from the locomotive’s radiator, to prevent unnecessary overheating. And I would just like to thank the Appleby Frodingham Railway Preservation Society for allowing me to visit. Progress with the first of the North Lindsey Light Railway pilot locos. A small update on 08632, a very small update. A set of buffers from Lanarkshire Models & Supplies which are beautifully cast and delightfully delicate. They can be found here and ridiculously good value too. Compared them with the Bachmann originals to see the improvement. They’re not sprung (although you can buy just the bodies, drilled ready to receive sprung buffer heads) but in 4mm scale I don’t think you need sprung buffers for the most part, certainly not if you’re not actually using them – so who knows why so many RTR type modellers and collectors demand sprung buffers these day. So for £2.50, you can’t really go wrong with these! The Lanarkshire Models & Supplies buffers in close up.